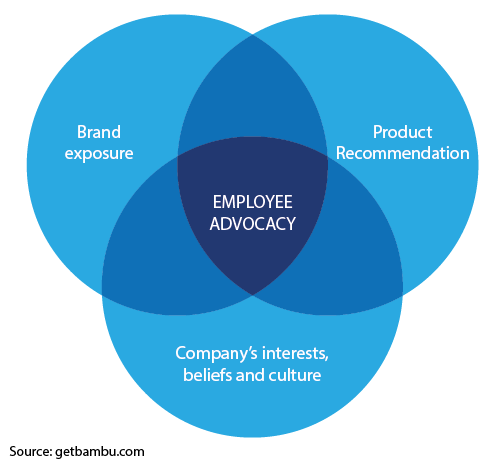 Employee Advocacy- Are You Leveraging Your Employees' Influence? 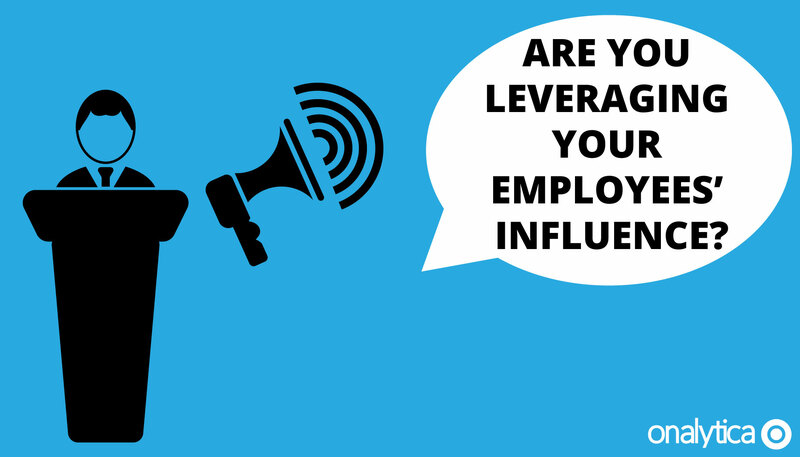 Are you Leveraging Your Employees’ Influence? Depending on how familiar you are with influencer marketing or influencer relations, it may or may not come as a surprise that under its umbrella comes brand advocacy, too. A brand advocate is anyone that is naturally compelled to favour, promote or defend your brand on their own accord; this could be an influencer that has transitioned into an advocate organically; a loyal customer or in fact an employee. We know all too well that word of mouth marketing (WOM) is by far the most effective form of marketing, and we also know that customers are turning to social media to aid in their decision making process, so why doesn’t brand advocacy have much greater emphasis? In light of influencer relations gaining a much larger voice in the digital marketing space, we’re going shed some light on employee advocacy; a breakdown of the what, the why and most importantly the how. Employee advocacy is an exercise where organisations’ employees have a presence on social media, in which they push out content relating to their brand and/or their industry. This doesn’t necessarily mean that they’re writing content themselves, it could just mean that they’re sharing their marketing team’s or CEO’s content, press releases or industry news. It could entail adding their opinion on the state of the industry or changes in legislation; offering assistance to potential customers or adding their two cents into a trending hashtags and debates. Employees merely having a social media account with their job title and organisation’s handle included in their bio may well have an effect on its own. Despite being in a generation where we’re obsessed with doing anything and everything online, we do still occasionally favour some human interaction where possible- whether this is directly in-store, or through online portals or email, or just by employees being visible, helping us to perceive the brand as being more human. WHY SHOULD I BE DOING IT? The fact of the matter is, WOM is the most effective form of marketing; all other forms of marketing and advertising have WOM to thank for their success stories. In a survey carried out by the Global Trust, 92% said they trust earned media- this has increased by 18% since 2007. Traditional advertising may well be the trigger, but it’s likely to just be the start of the customer buying journey; further research and verification is likely to be carried out via their immediate circle, influencers, or by turning to User Generated Content (reviews and ratings). By this logic, everyone is in theory, an influencer. Not sure? Have you ever made a recommendation to a family member or friend which has led to a purchase? This compulsion to dig deeper is due to the fact that consumers, in particular Millennials, are smart as buyers; they can see through brands’ glorified sales pitches and digest all information with a pinch of salt, rather than treating everything as gospel. They’re wise to the fact that what it all boils down to is an increase in sales, and in doing so brands may be selective with the delivery of information and paint best case scenarios. They’re far more likely to trust and take action on the basis of not only their family members’ and friends’ opinions, but relatable influencers, some public figures and brand advocates, too. Regardless of whether they’re buying for work or pleasure, customers are turning to social channels to aid in their decision process; they seek comfort in hearing the genuine opinions and real life experiences from real people. This isn’t just limited to niche social media influencers either, customers are heavily influenced by sales assistants in stores too. Sales assistants, while perhaps relatively junior, are perceived as credible experts in a specific area to their customers. Customers who often have an idea of what they want but not quite sure on exactly what to buy; they know they want to buy a TV, but they’re unfamiliar with the tech jargon. They’re in a position in which they’re very susceptible to influence. Sales assistants in this case come to the rescue as knowledgeable and tech savvy individuals, who are likely to have reaped the benefits of their employee discounts, meaning they’re able to shed light on an array of their product range. They may have personal experiences that they can share- both positive and negative- therefore they’re regarded as a knowledgeable, trusted source, much the same as a doctor. 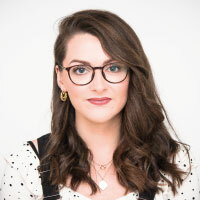 Year on year we’re becoming increasingly more digital, so, it’s more important than ever to alter our strategies so that we’re better able to humanise our brands in every way possible- employee advocacy is a very effective means of doing this. The best kind of influencer relations involves brand and employee advocates; advocates speak highly of a brand simply because they want to- there isn’t necessarily anything in it for them (not to be confused with brand ambassadors). Compare this to influencer marketing and influencer relations in their rawest form where there is likely to be some kind of agreement in place in which both parties to benefit mutually- whether this be transactional or not. Employee advocacy is far more widespread and effective when an organisation has two things in place: 1) a social media tool 2) a CEO with a presence on social media. Not only does a CEO being on social media make them appear more visible, creating a more transparent working environment aiding in natural employee advocacy, but employees will appreciate that if their CEO has enough time in their working day to focus on pushing out content on social media, then they should too. This is particularly important if you’re in the social media/marketing space- practice what you preach. When things are made easy, they’re far more likely to happen- it’s a rather simple philosophy. Have someone in charge of the whole employee advocacy programme, or one person per team leading the way. Share interesting and relevant pieces of content amongst the team so that employees can scan through and share if they wish. Ensure that content is an integral part of your marketing team’s strategy so that there’s plenty of content for your team to be sharing- after all, if every employee shares your content, think how many views, leads and sales this could potentially facilitate. Laying this out as best practice for all employees to follow will foster a culture in which it becomes very normal and second nature. Employees will be far more likely to adhere and put their all into an advocacy programme if they can see why- both on an organisational level and a personal level. The organisational advantages are easy to explain, as outlined above. However, these will not resonate with all employees, particularly those in junior roles will simply be less invested in the organisation. However, if you communicate the fact that this is an opportunity to increase their following, present themselves as a credible expert and accelerate their career- they may well get on board. In an instance like this it is important to reward, not punish. While you may look to make an employee advocacy programme a requirement for everyone, you will get employees that will put little to no effort in- punishing them for this will only end in resentment and may well lead to employees looking to go elsewhere, whereas if you reward those that do well, they may think twice. Employees working in marketing or communications roles will not only understand the benefits of employee advocacy well, but they’ll take to it more naturally. Those that are in other roles may find the transition more challenging. It is in our human nature to avoid doing things where we have a lack of confidence in our ability. Emphasise this is normal and to be expected, and that they will be fully supported along the way. Ensure that this isn’t only efficient, but effective, by employing a tool to aid with advocacy. There are various tools out there that make it easy for employees to verify and share relevant content to their industry and company. These tools can also provide insights into how effective these shares were. How much engagement are they getting? Have any leads come from this? Have any of these leads converted into sales? Has your brand reputation and perception changed for the better? To ensure that employee advocacy is successful and effective you need to view and measure it in the same way that you view standard influencer marketing. Make the first step now: identify relevant influencers and get engaging. Click the button below to try a 7 day free trial of our influence discovery tool.